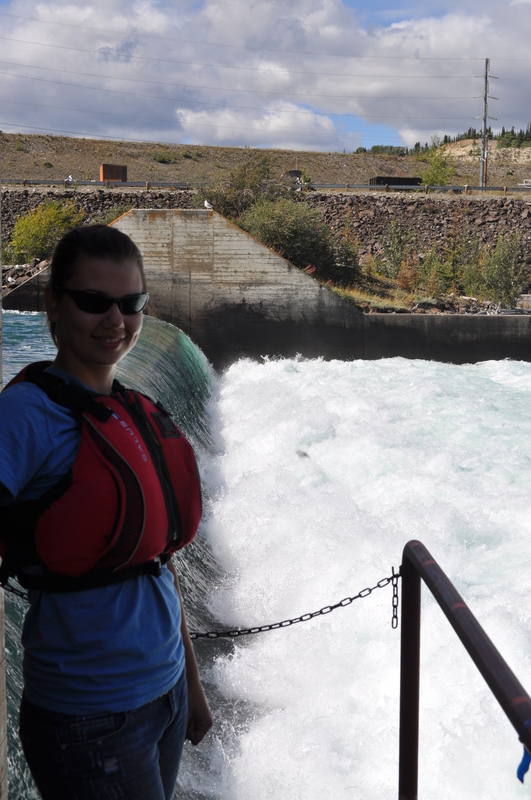 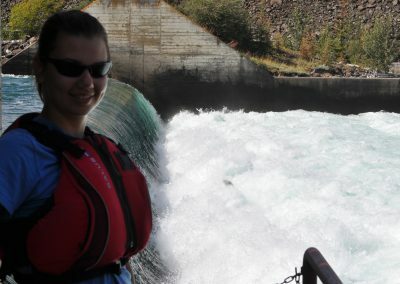 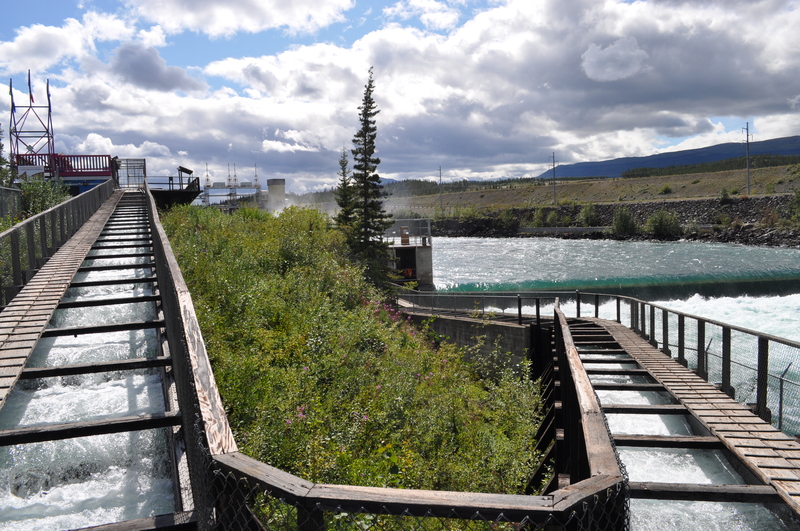 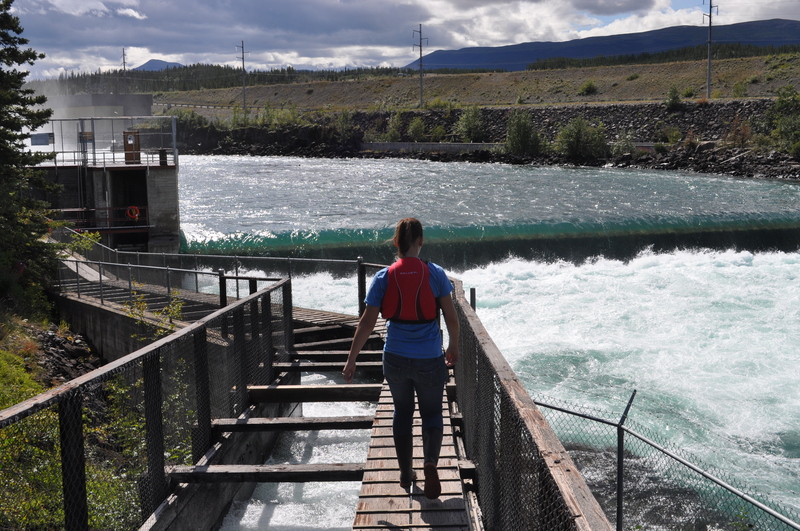 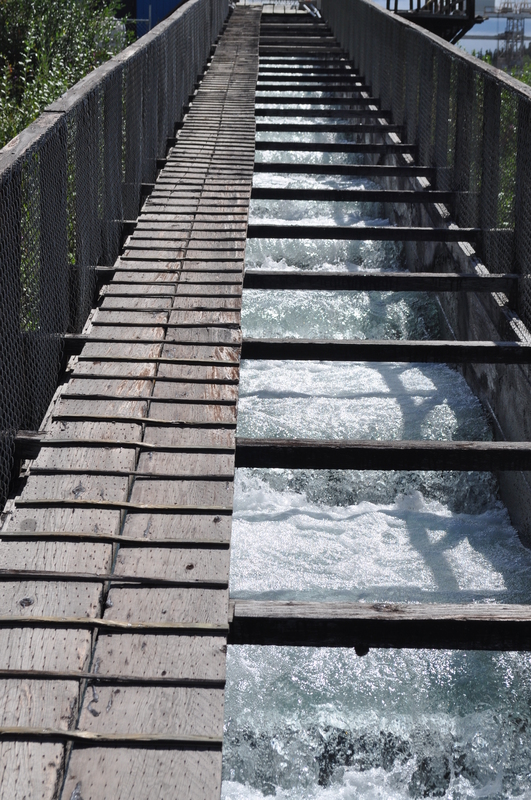 The Fishladder opens June 1st and usually runs until end of August. 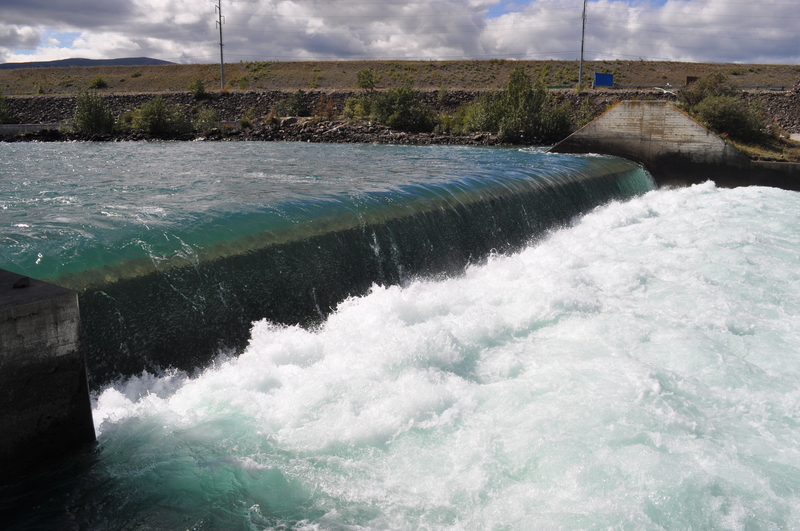 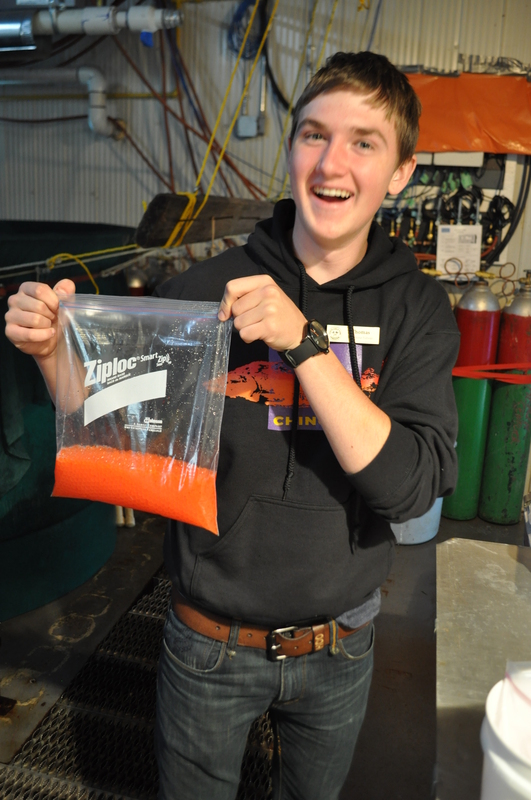 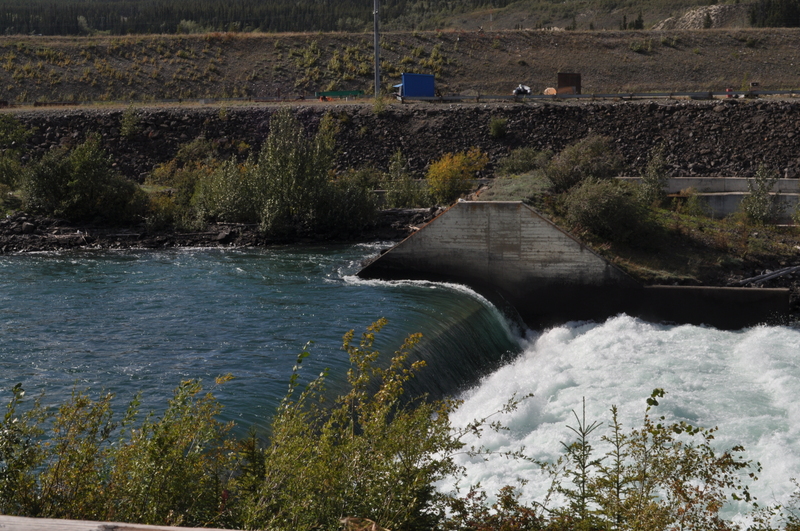 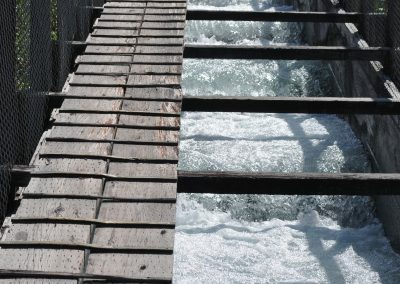 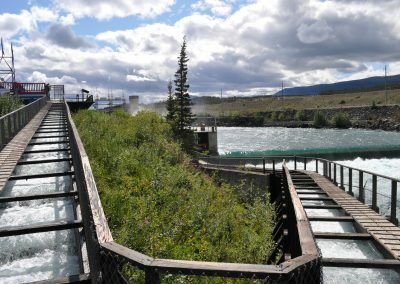 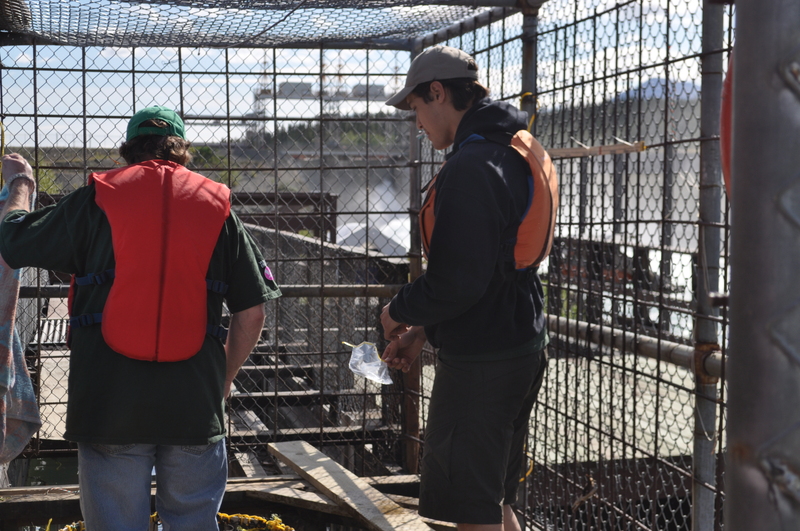 The fishladder and near-by fish hatchery are helping to ensure the survival of the Yukon River’s Chinook salmon run. 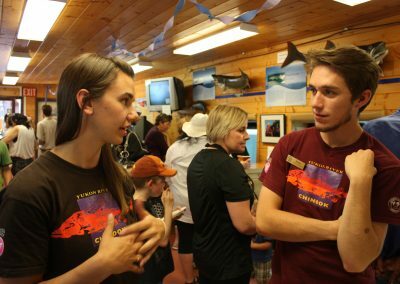 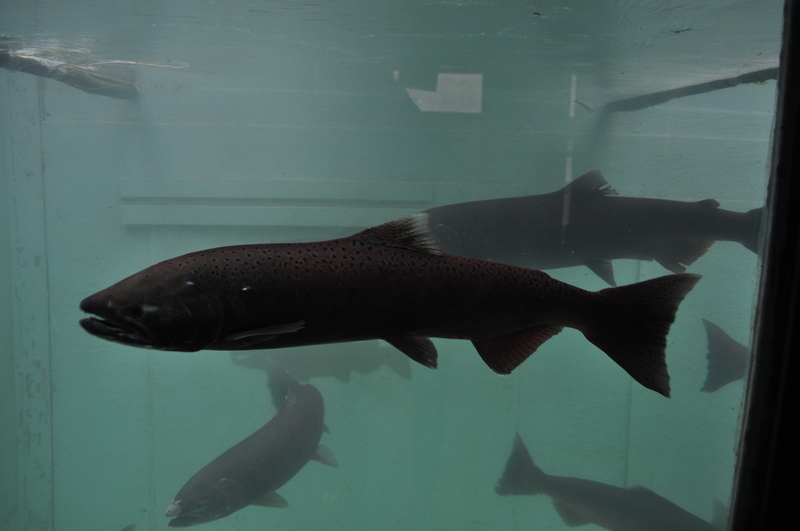 At the interpretation centre in the fishladder, you can view fish through the underwater window and learn more about the salmon and other species from displays inside the building and the viewing platforms above the Yukon River. 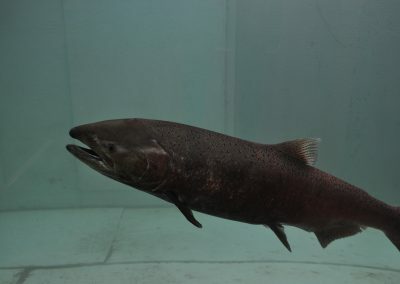 Underwater cameras and TV monitors to make your viewing more enjoyable and informative. 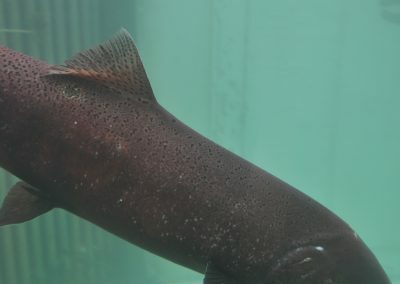 We have also set up a web cam that operates in the summer months so that people can view the migrating salmon and freshwater fish via their home or office computer. 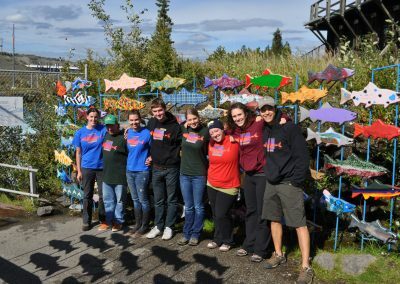 Admission is by a suggested donation of $3 per person. 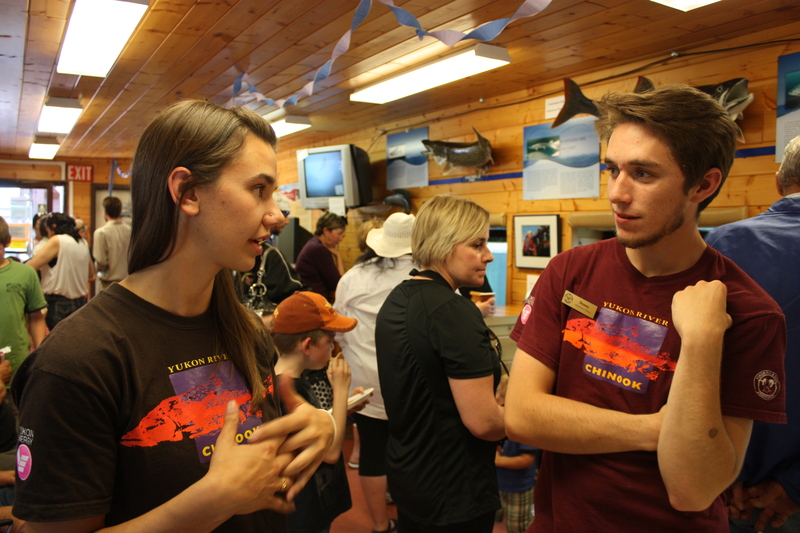 For further information, please call (867) 633-5965 during the summer or (867) 393-5333 year round. 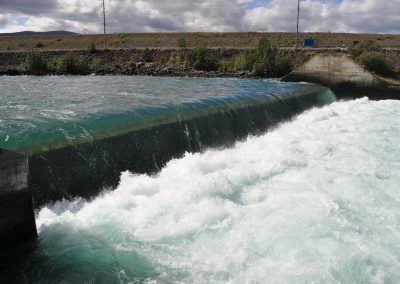 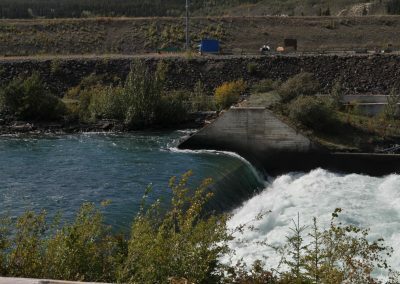 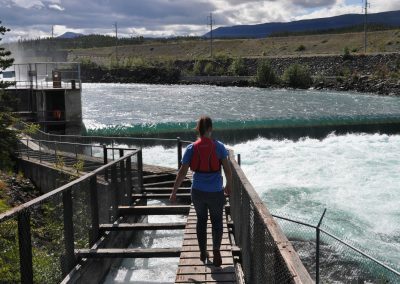 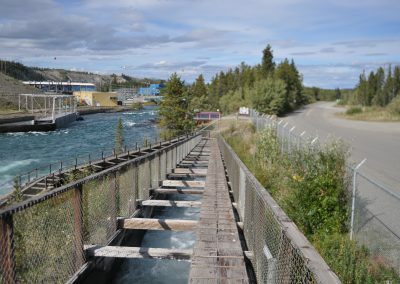 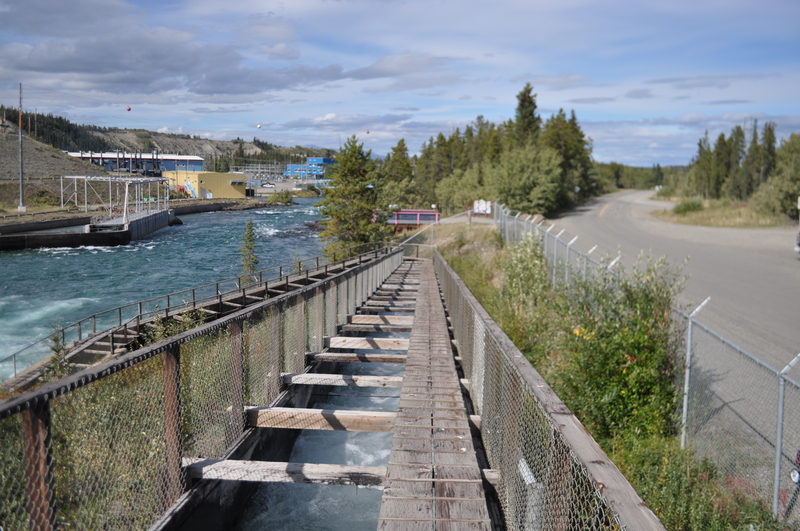 Yukon Energy’s Whitehorse Fish Hatchery, located just downstream from the fishladder, began in 1984 to counteract the numbers of migrating Chinook salmon fry being affected by our power plant. 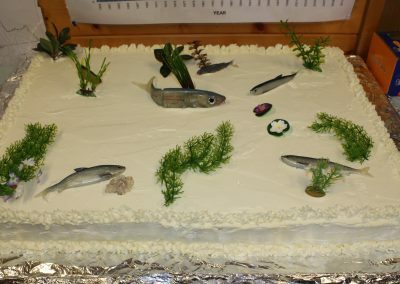 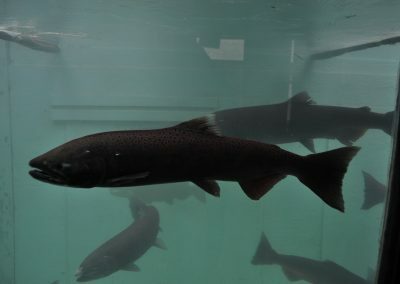 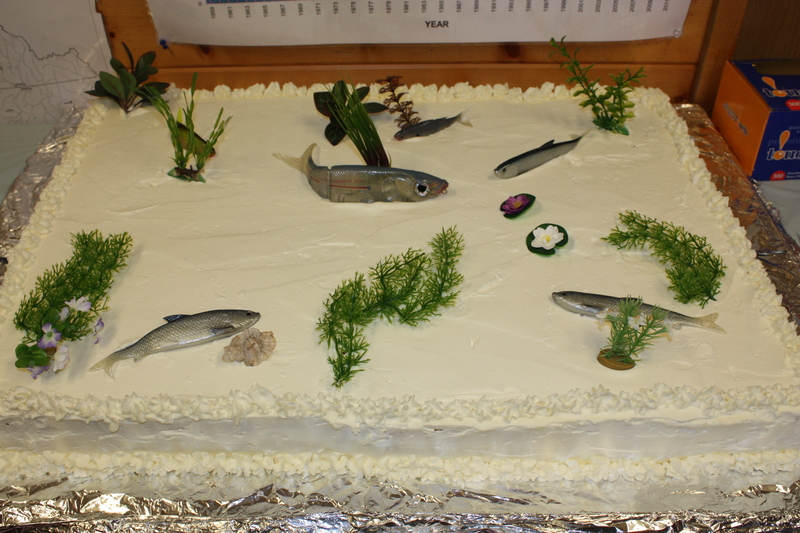 The hatchery later expanded to accommodate the rearing of fresh water species including arctic char, kokanee salmon, and lake, rainbow and bull trout. 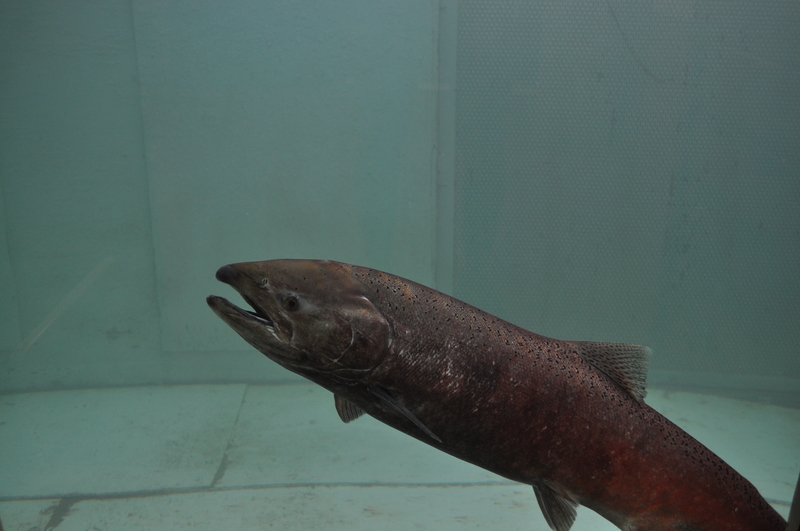 The freshwater fish are used to stock pothole lakes in the southern Yukon. 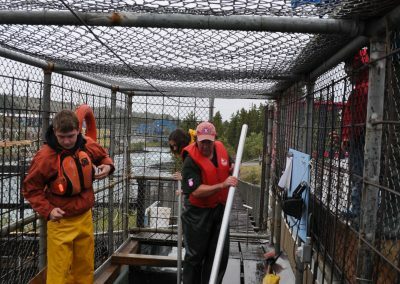 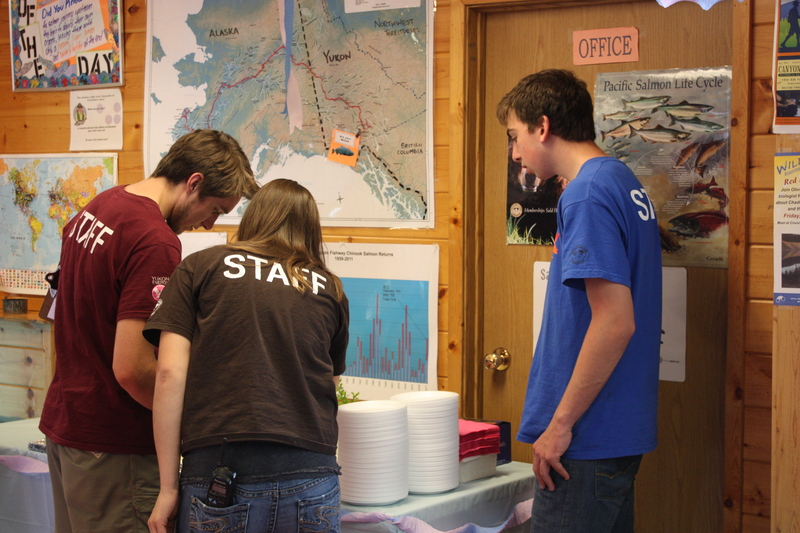 The hatchery operates year round. 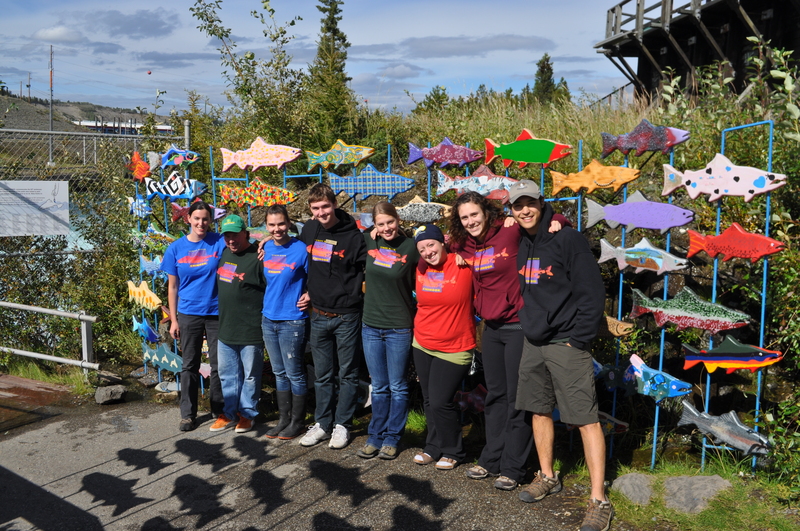 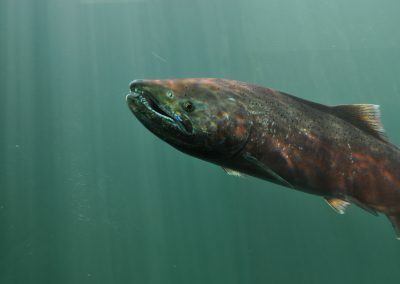 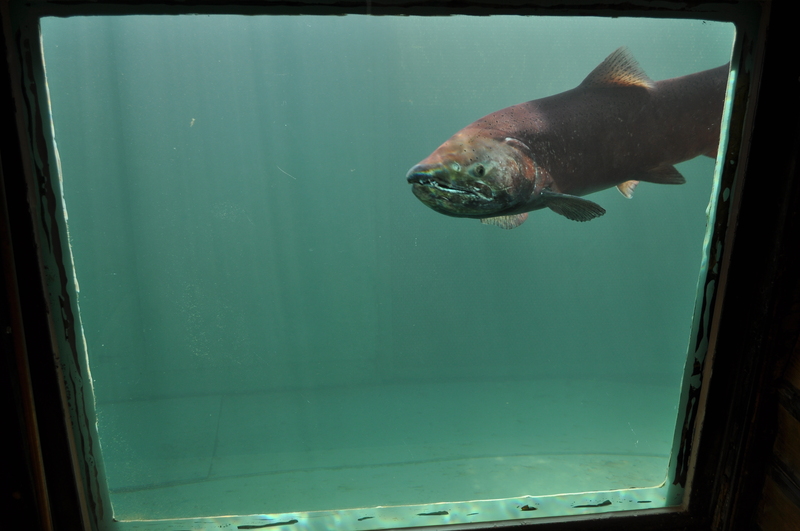 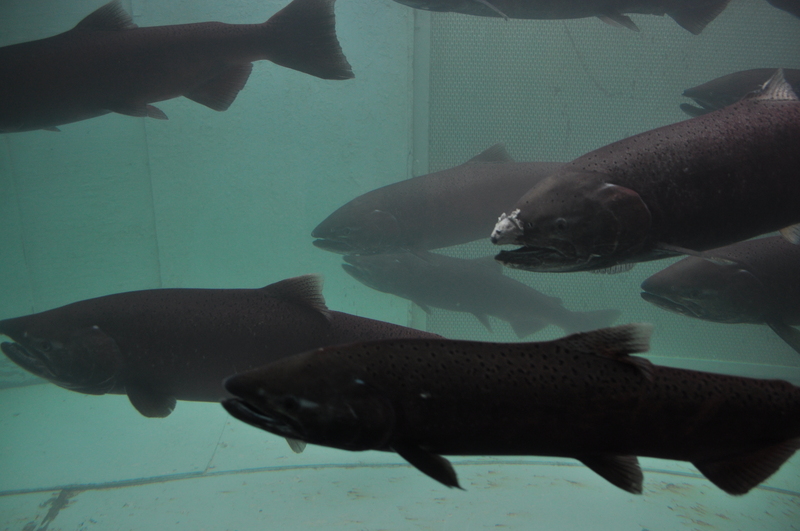 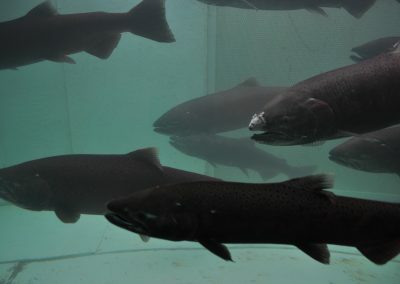 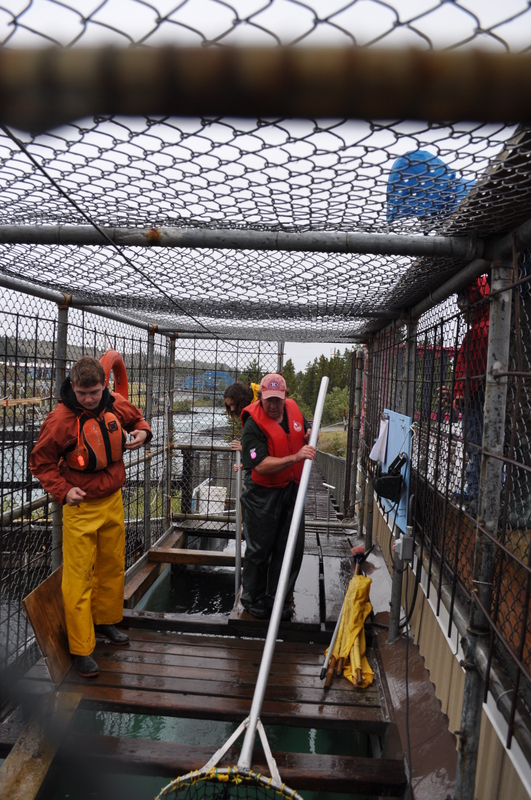 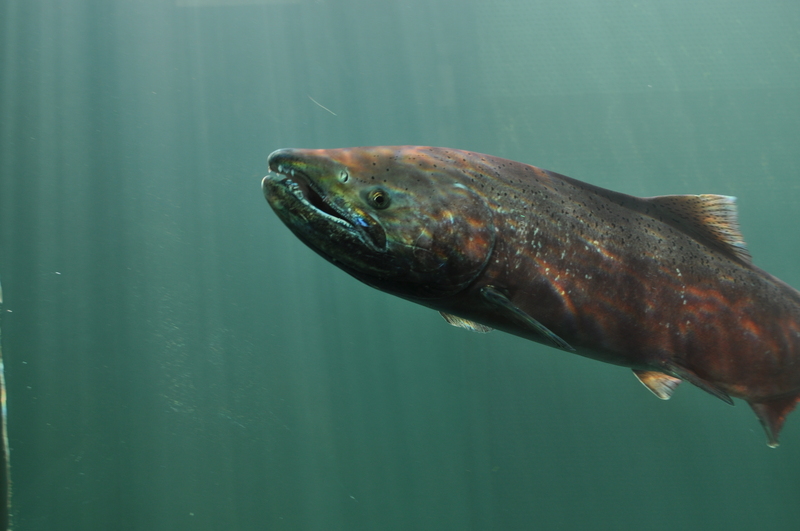 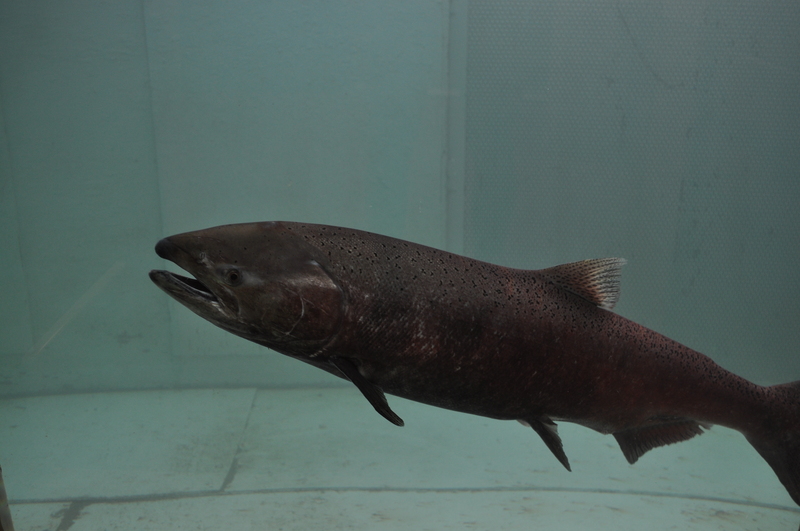 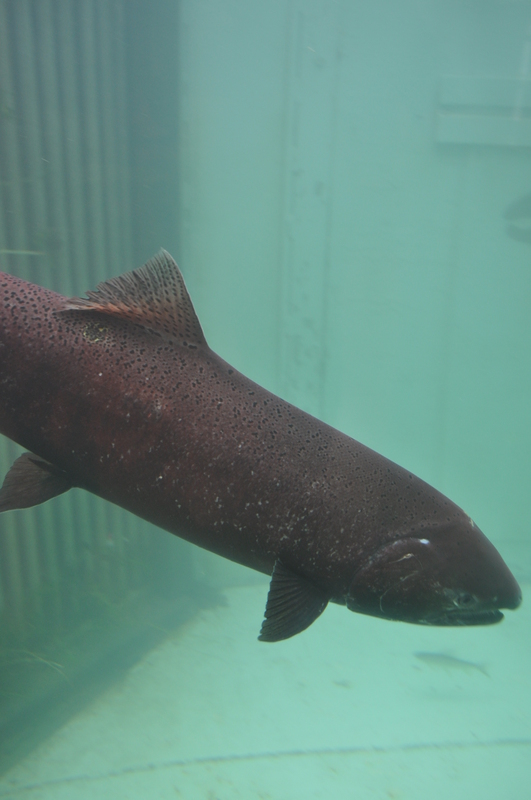 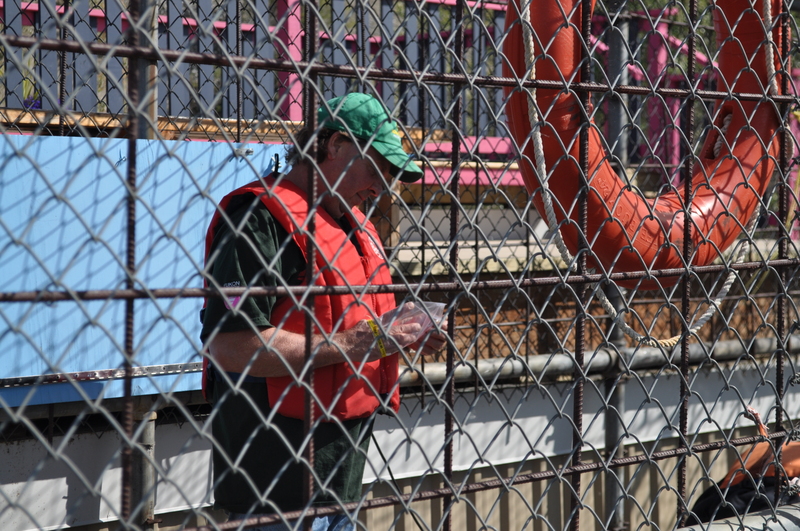 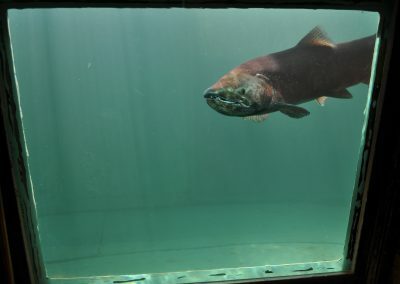 Each year, about 60 female and 120 male Chinook are removed from the fishway. 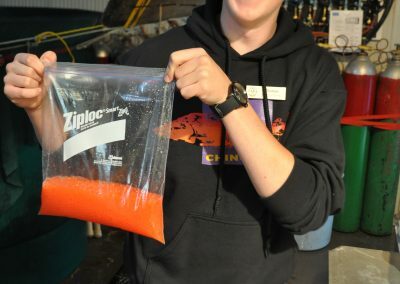 Eggs and sperm are collected and mixed. 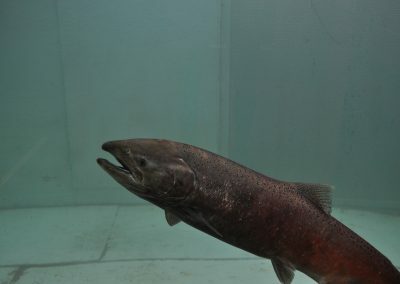 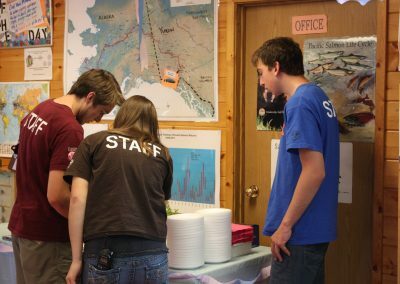 The fertilized eggs are incubated over the winter and the young fish (fry) are released the following spring into streams such as Michie and Wolf Creeks in the Yukon River system. 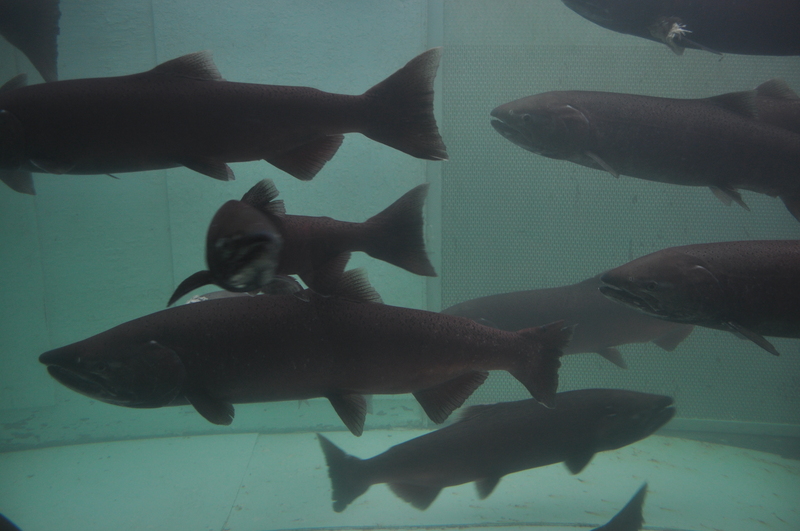 Before the fish are set free, they have their adipose fin clipped and a tiny coded wire is inserted into their nose cartilage. 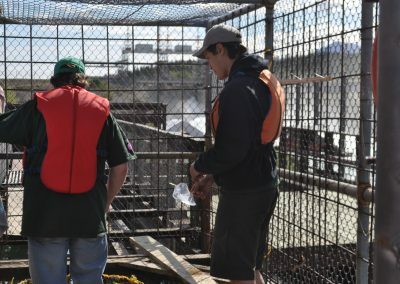 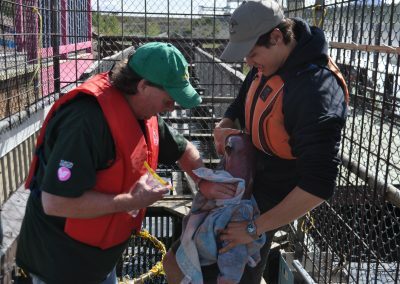 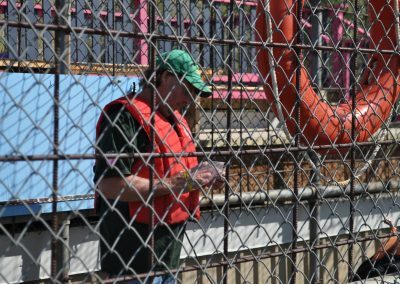 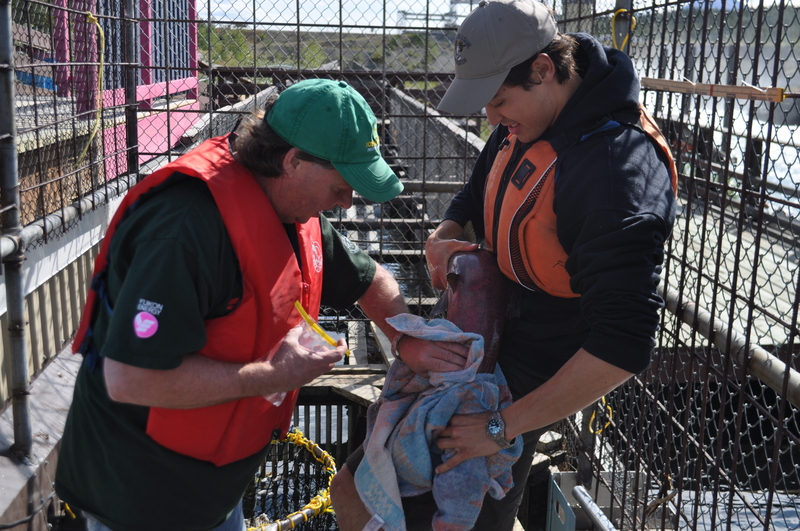 This procedure identifies the stock, date and location of release and helps biologists track the number of salmon that return to the spawning grounds as adults.